Get valuable information quickly and easily with our database of knowledge articles. Navigating to new page with search results. 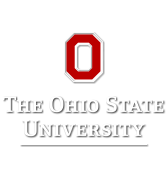 OFFICE OF THE CHIEF INFORMATION OFFICER Contact: IT Service Desk | Locations | Phone: 614-688-HELP (4357) | TDD: 614-688-8743 If you have trouble accessing this page and need to request an alternate format, contact 8help@osu.edu.